My work looks great in the preview window, but still shows the colored cells in my web page (www.misyssbm.com/buy/index.php left side menu). My text changes show up on the web page, so I know it was updated. Any ideas (note I have two deluxe menus)? A: You should check all your images paths. You should also upload these files on your server in"side_menu.files/" folder. I've tried to download "side_menu.files/btn_navy.gif" but I can't doit. Q: Hello, I am trying out your dhtml menu and would like to load an iframe into one of the menus, how would I go about this? 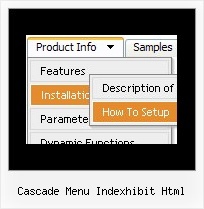 A: If you want to insert <iframe> object inside a menu item you can do following things.